Baltimore based electronic duo Wume has released their third effort, and it is every bit as weird and fascinating as their last. Steeped in the electronic scene that produced Dan Deacon, Horse Lords, and Chiffon, to name a few, April Camlin (drums and vocals) and Albert Schatz (keyboards and electronics) produce spare, yet complex futuristic compositions that aren’t meant for the dance floor but more a dark room or snow filled field: a blank canvas for them to paint their musical visions across. 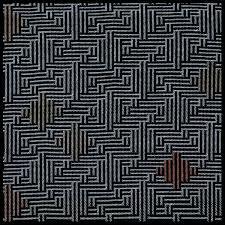 The German electronic influences are quite evident, as is that of their contemporaries. Camlin’s lyrics are far more prevalent this time, exploring artistic and societal issues and pressures. A maze of sound that at time borders on New Jazz, Towards the Shadow may be their best work yet. It’s worth a listen for sure. Wume is playing The Hideout, Friday November 30th with TALsounds and HUJO opening. Tix are $10. Clouded in distortion and driving drums comes the new release from former Chicago duo The Funs. Now based in tiny New Douglas in Southwestern Illinois they have built a studio and artist collective, they call Rose Raft, out of a hundred year old funeral home. They refer to themselves not as a band but as a cult, and their trippy psych sound would lure any unsuspecting fan into their clutches. We became followers when we caught them earlier this month (check out the show review in issue #36.5) and haven’t been able to keep this album out of our ears since. It’s a haunting rock masterpiece with Jesse Crane and Philip Lesicko’s vocals floating along with the ever present guitar fuzz, blending so effortlessly that it becomes a part of the music instead of accenting it, as most bands are apt to. In fact it seems The Funs take joy in bucking traditional rock tropes with their energetic, disturbing, and thought provoking tunes. Take a listen. They just played a record release show at The Empty Bottle and currently have no new dates on their slate. 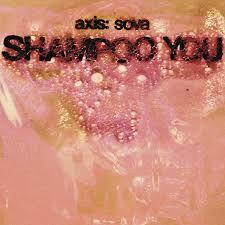 Brett Sova started Axis: Sova with a TR-66 drum machine and a guitar creating psych rock anthems all on his own. Now shaped into a trio, with longtime live guitarist Tim Kaiser and new bassist Jeremy Freeze (yes, the guitarist from CAVE), the TR-66 still bangs away in the back but the sound is shaped a bit to the right with the contributions of the new musicians and cleaner production. The psych rock element remains and still produces heady visuals if you plug in and close your eyes; but the spirit seems to have shifted a bit more commercial. Gone are the unapproachable for the laymen sounds of his first recordings and in its place is a wonderful rock driven record that is undeniably modern. Put out by indie rock savior label Drag City, the Chicago based trio have found a groove that we hope continues into subsequent releases. It’s pull your boots on and dance the night away kind of music with plenty of shredding to drool over. Check out Shampoo You! They just played The Hideout for their album release party and are headed out on a small tour this Winter, hopefully we get a homecoming show. 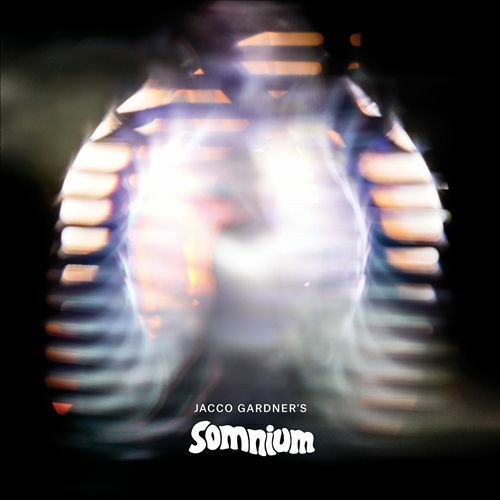 On his third album, 60s-inspired psych-popper Jacco Gardner creates an album befitting of its namesake. Somnium is one of the earliest works of science fiction, being published in 1634. It explored what traveling to the moon for a short period of time might be like, and how our reality can appear quite different from a new vantage point. Jacco investigates how his brand of psychedelia might look from a few thousand miles up. Gone are vocals, and pushed forward are the melodic textures that provided a floor on his previous two releases. Combining the spacey atmosphere and finely tuned layers of early Floyd with the driving synth melodies of classic John Carpenter, Gardner has delivered an expertly produced travel album. Throughout the 12 tracks, it’s easy to disappear into ambience, but there’s a cord holding you to a feeling that something is just slightly off. It’s damn good background music, which is exactly what I look for if I’m not rocking my face off. No dates currently, but we’ll let you know when that changes. Meanwhile, go check Jacco out here. Boston based mixing band, Lake Street Dive released a 5 track EP that showcases their knowledge and inspiration of multiple genres such as folk, soul, jazz, country, and rock. The album starts with a hard hitting soul/funk track “Darryl;” lead singer Rachael Price displays her voice’s power in the lyrics about a cheating boy who she had to let go and get over. During the middle of the track, the melody smooths into a jazz interlude, then transitions back into the hard soul/funk mix the track started with. Throughout the album, Lake Street Dive personifies emotions through their lyrics and their melodies. The song “Jameson” delivers a slow, somber, and soulful melody that injects some hard rock guitar riffs, while Rachael sings soulfully about forgetting a lost love over a bottle of whisky. 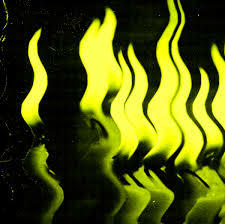 The band continues to display their aptitude for variety through this 5 track EP, and simply put, it’s a great listen. Lake Street Dive plays Chicago all the time, but no current dates are set. The first record in seven years from the Berlin by way of London, post-punk collective that picks up right where their last album Brilliant! Tragic! left off. Honest and pointed, Eddie Argos’s lyrics have always told of the foibles of society and his personal reflections, backed by the very English cherry, post-punk sound that belies the seriousness of the subjects. Wham! Bang! Pow! is no different, with twelve tracks of hard hitting rock and Argos speak-sing (sprechgesang) vocals riding on top of it all. From poking fun at straightedge and users alike in “Hospital!”, to the oddness of club life and one night stands in “Awkward Breakfast”, to break ups in “I Hope You’re Happy Together”, Argos takes a humorous look at the awful and hard moments of life. If you’re into Los Campesinos! or The Cribs you’ll love Art Brut. Give the new one a listen! They currently don’t have any U.S. tour dates planned. The much anticipated follow up to his break out 2016 record Malibu is an undeniably epic record from the genre-spanning musician. He gives us funk, R&B, soul, hip hop and gospel all blended into a sound that is essentially .Paak. Executive Produced by Dr. Dre with appearances by some of the hottest names and legends of hip hop (J. Cole, Kendrick Lamar, Snoop Dogg, and Q-Tip, just to name a few), the album—named after his hometown of Oxnard, California—spans the modern black experience. From explorations of poverty and religion in “Brothers Keeper” and “Saviors Road”, to gun violence and street life in “6 Summers” and “Cheers”, to love and infidelity in “Sweet Chick”, and to fashion and culture in “Tints”, he’s got a little something for everyone here. Sure, there is some misogyny in these tunes, it’s a trope of the genre that not many artists can escape; but there is also plenty of funky fun to be had without ignoring the serious subjects of the black experience. We expect him to come to town in the Spring since he hasn’t played Chicago since Summer of ‘17. Having just released his second EP, and already gaining nods from artists like, Kendrick Lamar, British R&B singer/songwriter Moss Kena has created a different kind of flow and introduced it to the world. Within the 5 tracks, Moss Kena sings about love, break ups and finding oneself. With tracks that have either a smooth melody like “Silhouette,” a more dance club tempo like “Touch,” or an homage to 90’s R&B melody like “Better Off Without My Love,” Moss Kena’s voice hits high notes and low tempos that blend in nicely with the beats and give his songs true heartfelt intentions. Very different from today’s style, Moss Kena combines retro R&B with modern melodies and beats, but keeps his lyrics true to the style of R&B artists of the past. Moss Kena has gotten praise from various producers like T-Minus and Pluss, which is high reverence for his rapidly growing career -- he’s performed with artists like THEY and Jay Prince. This EP is a fresh of breath air for new R&B music and for a new R&B artist. Moss Kena is currently touring in the UK. 2018 has been the year of the instrumental record, with plenty of musicians who can sing producing fully instrumental albums. The british singer/songwriter Ed Harcourt has taken his turn, and the spare piano and strings based tunes create a gorgeous, perfect winter record. According to interviews, he would sit down at the piano every day after sending his kids off to school, tinkered till he had something he liked and then expanded on it until a composition developed. The result is impressive in its intimacy and moments of silence. He lets the sound breath, taking his time, developing each tune with fine edged repetitive chord structures that slice through the quiet moments with intent. There are no excess notes here. Each and every one is necessary and exact. There are elements of minimalism, a la Philip Glass, but the sweeping strings grounds the material and makes for a beautiful and fulfilling ride. It doesn’t appear that Harcourt has any Stateside shows planned any time soon. It’s hard to believe that twenty years has passed since Joey Burns and John Convertino captured a perfect musical moment with their sophomore full length. The southwestern swaths of sound that became their signature began right here, with plenty of influences derived from Spanish and Mexican music they shaped an indie rock genre that was embraced by critics and listeners alike. No one sounded like Calexico and the scene clambered to support them. This nearly two hour collection of the original seventeen tracks plus plenty of outtakes and alternate mixes still holds up with incredible integrity. Mainly instrumental, just a few songs contain lyrics, the southwestern noir style wasn’t born here but Burns and Convertino perfected it. If you’ve never had the pleasure of listening to this one you should give this collection a shot. Beautiful and inspiring, it creates a desert noir right in your head as their tunes roll by. Calexico was just at Thalia Hall a couple months back, we doubt they’ll be back anytime soon.